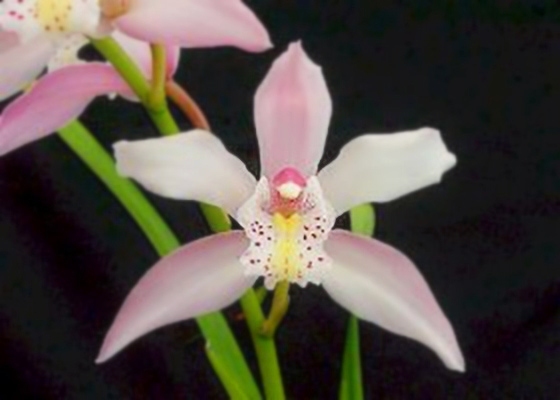 This elegant primary hybrid is from the cross between two lovely species, Cymbidium insigne and Cymbidium eburneum. 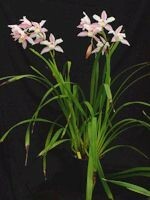 The white flowers are tinted throughout with a rosy-pink blush which is most pronounced on the sepals. The white lip is marked with burgundy specks and a golden center. .Cool growing. February blooming.